Tag: Torcs, Extra-Heavy Braided Torcs. SKU: TO-LION-XH. 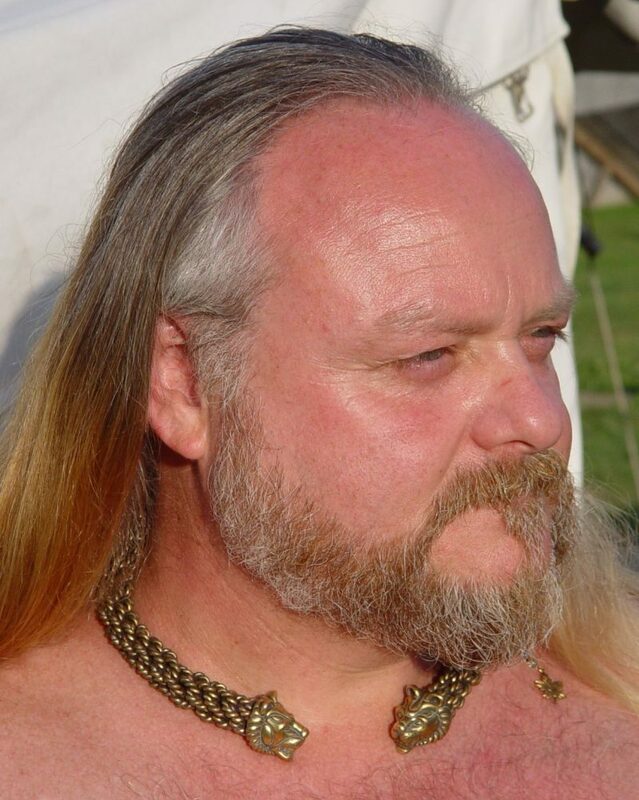 Categories: Torcs, Extra-Heavy Braided Torcs. 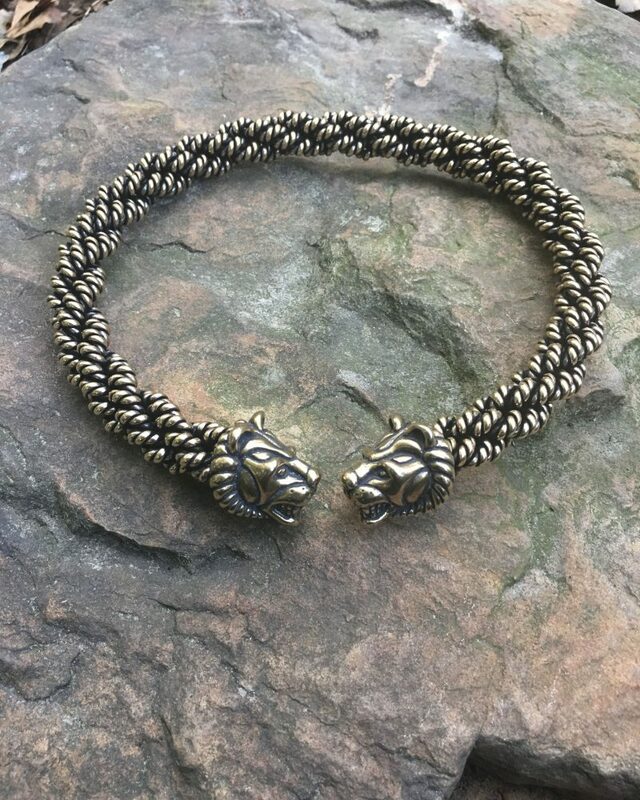 Our Lion Torc is constructed with an extra-heavy braid of wire, and is approximately 5/8 inch (16 mm) thick. It is available in bronze or sterling silver. According to Greek mythology, Heracles’s first task was to rid the Nemean plain of the Nemean Lion. Armed with his bow, arrows, and a club, Heracles entered the Nemean forest to search for the creature’s den. He was quickly stopped by the sound of a fearsome roar behind him. He turned to see the lion rushing towards him. He drew his bow and released an arrow, but it failed to harm the creature, as it’s skin couldn’t be penetrated by even the sharpest of points. Realizing this, Hearcles used his club instead to bludgeon the monster on the head. This stunned the lion just enough to allow Hercules to get his arms around its neck and strangle it to death. Once dead, Hearcles skinned the beast and threw its pelt over himself as a cloak. 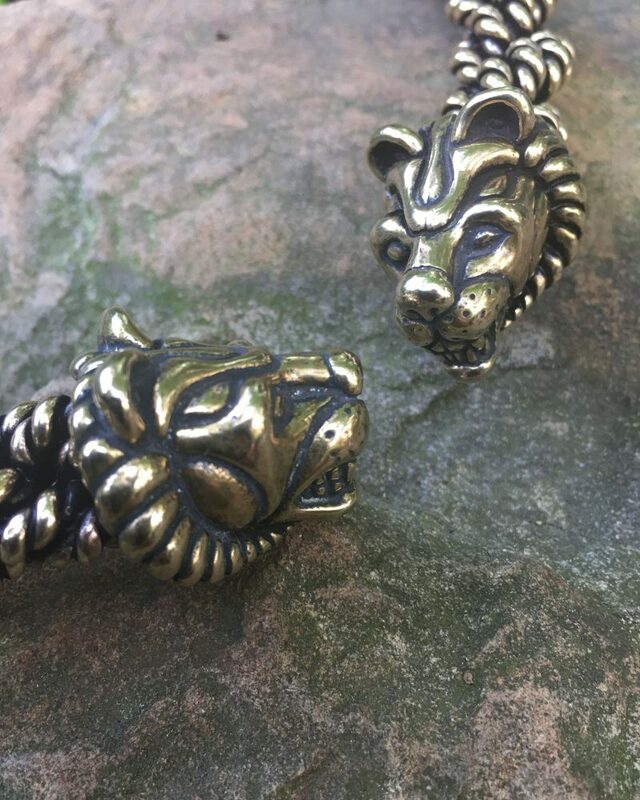 We modeled the lion heads on this torc after the fearsome Nemean Lion from this myth. I’ve had this torc for about four months now, and wear it regularly. Couldn’t be more pleased. It is comfortable, flexible and strong. Looks great, and it has drawn a lot of compliments. Great work, Crafty Celts!